12pm- 6.00pm daily in the summer, weather dependent. Given as a present to the ‘inhabitants of Lydney and Aylburton’ by the Bathurst family in 1920, Bathurst Swimming Pool in Lydney is considered to be one of Gloucestershire’s best kept secrets. 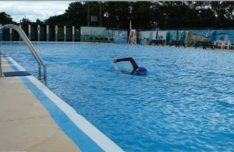 This 38 metre outdoor pool in the Forest of Dean is run by volunteers and open for at least ten weeks during the summer each year. 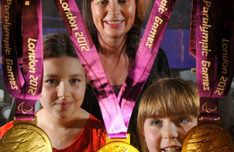 It costs £3 for adults (including Spectators, OAPs and Students) and £2 for children (Under 16). Under 3’s entry is free. Check before you go – 01594 84 26 25. Daily 8.00am - 5.00pm. Cafe has separate times. Check before you go. Beechenhurst lies in the heart of the Forest of Dean, and offers a wonderful day out. It is the starting point for the famous Sculpture Trail, plus there are three additional waymarked walks to choose from.  If cycling is more your thing, there is easy access onto the Family Cycle Trail. The main play area has a newly installed zip wire and picnic area and there is a separate toddler area too. When playtime has finished you can eat at the Beechenhurst Cafe which provides a range of wholesome food. There is also a climbing tower, with 36 different routes and 2 vertical abseils, and an archery teaching centre. What more is there to be said? A grand day out for all the family! 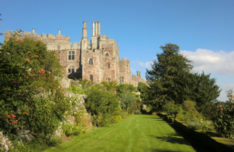 Berkeley Castle is an ancient fortress home where the Berkeley family have lived since their ancestor, Robert Fitzharding, completed the Keep in the late 12th Century. 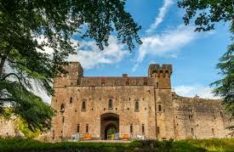 Considered a jewel in the crown of British history, the history played out within the castle’s walls make it one of the most remarkable buildings in Britain. 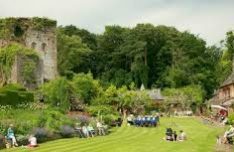 Once you have toured the castle you can visit the Butterfly House which is located within the old walled kitchen garden at Berkeley Castle, adjacent to the Yurt Restaurant. Well worth a visit, in particular Big Pit National Coal Museum. 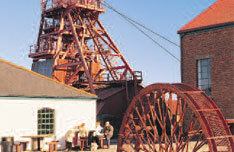 A visit to Big Pit includes a 300ft descent into the old colliery, where a former coal miner will take you on a fascinating and personal tour with the sights, sounds and smells of the mine creating an impression of what working life was like at the coalface. The best part is nearly everything you can visit here is free! 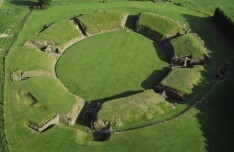 The remains on view at Caerleon provide you with a vivid picture of life in second-century Roman Britain. There are remains of the fortress wall, a large amphitheatre which would have seated an entire legion ie 6,000 spectators, and the finest remains of Roman barrack buildings in Europe. The Roman Baths are now in a museum which uses modern technology to demonstrate the grandeur of these Baths in their time. An archaeologist’s paradise, this was the tribal capital of the Silures (Venta Silurum) with impressive fourth-century walls standing up to 17 feet (5.2m) high. 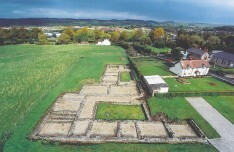 Excavated houses, forum-basilica and a Romano-British temple also remain. April - October 11am to 4pm from Tuesday to Sunday. The castle is closed on Mondays. Opening days and/or hours may vary for special events or as a result of private bookings, please check the website. 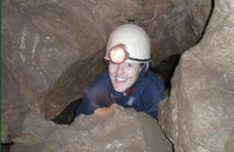 Caving (also known as speleology, or in some cases pot-holing) is the exploration of natural underground passages and chambers, usually formed where water has dissolved away limestone, or other similarly soft rock. Forest Adventure will take you caving in Symonds Yat – you’ll be fully equipped with hard hat and head torch and given instruction on caving. Once you get going, you’ll see wonderful underground rock formations and you’ll discover the fascinating history of the area you’re caving in. Suitable for all levels. Cefn Mably Farm Park is a huge all weather family farm attraction & softplay in one. 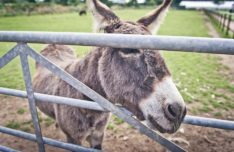 Set in rolling countryside between Cardiff and Newport, they offer a wonderful mixture of farm animals and softplay areas – the ideal place for action packed days out with the children. The fun begins as you enter the indoor soft play barn where the children can let off steam. Once everyone is worn out from feeding the animals on the farm and playing on the electric go-carts and real diggers, you can relax with a coffee and a slice of home made cake on a comfy leather couch. 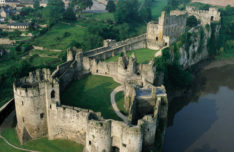 Beautifully preserved Chepstow Castle is a history lesson in stone. From around 1067 through to 1690, the castle, almost chameleon-like, changed its appearance as fashions changed in military architecture. If you think modern doors are long lasting, think again. Chepstow boasts the oldest castle doors in Europe. All wood and all of 800 years old. The oldest building is the Norman great tower but building work continued well into the 17th-century as medieval battlements were replaced by stronger musket-friendly parapets. Bows and arrows were so last century! 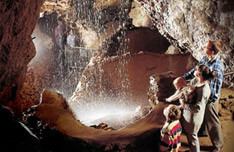 Clearwell Caves are natural caves, extensively mined for iron ore to make some of Britain’s most complex and oldest mine workings. The mine dates back well over 4,000 years, when early miners dug for ochre pigments to make paints. 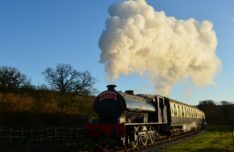 Dean Forest Railway has a 4 1/2 mile line which runs through beautiful woodland and countryside giving you the relaxing pace of a typical country branch line. There are 5 stations along the way for you to explore the local area, taking in woodland walks and country pubs or venturing down to explore Lydney Harbour with its fantastic views across the Severn Estuary. 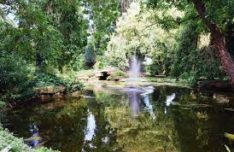 Imagine discovering a lost garden with tunnels and underground grottoes buried under thousands of tonnes of soil for over 50 years. That’s what happened at Dewstow gardens. The 3 Maize Mazes are planted each year in April and reach ‘Maze’ height in mid July. 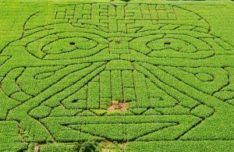 Each year the Mazes have a new theme and are great for families and children. They also hold several special events throughout the season culminating with a Late Nate Special where for one night only you can explore the mazes by torchlight. The Activities Maze is a permanent Maze. The Activities Maze has plenty of space for children and adults who want to run, hide, shout, climb, crawl, swing and work together as a team to get their group over, under, around or through the various activity areas, all within a protected countryside setting. Established in 1986, this 4.5 mile long Sculpture Trail was one of the first to open in the UK. 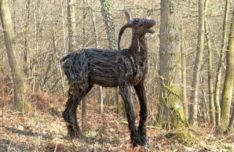 The trail features sculptures created by artists to interpret the forest environment and the history of this very unusual landscape. Perfect for all ages and abilities, you don’t need to know about art to enjoy what you see. Highlights on the trail include a 15ft high stained glass window suspended from the tree canopy enabling visitors to walk underneath and a giant chair made of sweet chestnut, which enjoys picturesque views. Walk it in one go or explore in a series of shorter distances. 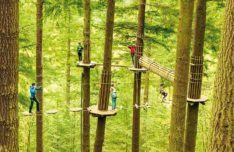 If you’ve ever dreamed of swinging through the trees like Tarzan, this is your chance! 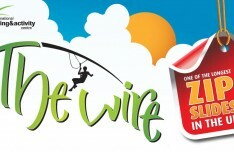 Fly down zip-wires, rope swings and cross over obstacles in the tops of trees. 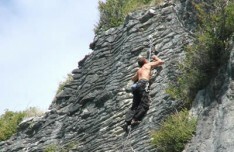 You are briefed on safety beforehand and are always attached by a safety harness. Go Ape also offer a Segway adventure through the forests. Make sure you get directions from the website. SatNav doesn’t work in their very rural area! 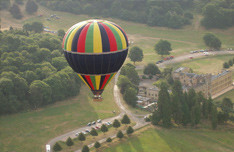 View the countryside and landscape like never before by taking a hot air balloon ride with friends and family. 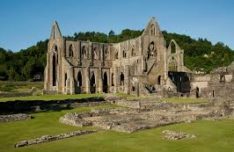 You can take off from Tintern, but there are also optional sites to choose from so please visit their website for more information. 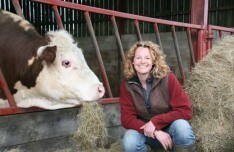 Humble by Nature is a working farm and rural skills centre owned by broadcaster Kate Humble and her husband Ludo. They run courses in smallholding, food and cookery and crafts and skills. Booking is essential. If you want an amazing day out with more than 250 incredible birds of prey the International Centre for Birds of Prey is perfect for you. Believed to be the UK’s best bird of prey centre, it has 12 acres of enclosures, glorious gardens, field and woods to explore. 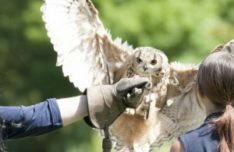 You can do a simple visit or book one of their many courses, including an Owl Half Day Experience where you can get hands on with these beautiful creatures. 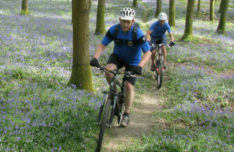 The Forest of Dean is one of the best locations in the UK to go mountain biking, it has trails for all levels of group and provides a fantastic adventure. 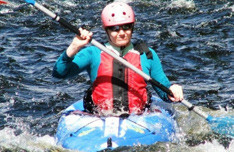 Adventure River offer both bike hire and guides. 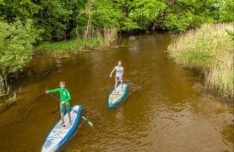 Otherwise known as Stand Up Paddleboarding (SUP), this is a great way to discover the River Wye whilst mastering a new sport! Sesssion usually lasts 2 hours. Puzzlewood is a unique and enchanting place, located in the beautiful and historic Forest of Dean. Explore a mile of meandering pathways, with its fantastic tree and rock formations. It has an atmosphere quite unlike any other wood you have visited. 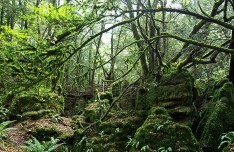 Puzzlewood also has a willow maze, indoor mazes and an out door playground. A stunning statement of wealth and power. 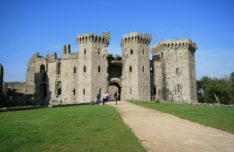 Everything’s impressive about this place, from its great tower, which evokes memories of earlier fortresses like Caernarfon, to the great gatehouse, which ‘wows’ the visitor just as its owner intended. 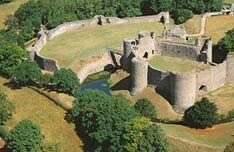 If, as they say, an Englishman’s home is his castle, then William Herbert’s Raglan is the Welshman’s equivalent. Take on the cliffs of Symonds Yat Rock with fantastic forest surroundings and lovely rock formations. 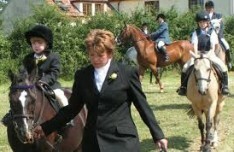 Riding lessons for all levels from beginners to advanced (children & adults) – please call for details and prices. Opened in 2016, The Royal Mint Experience is one of South Wales’ top rated attractions. From how coins are made, to rare pieces on display, the Experience brings a 1,100-year history to life. They make coins and medals for an average of 60 countries every year and can produce 90 million coins and blanks a week – almost five billion coins a year! 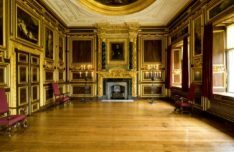 On a visit to this fascinating site you’ll learn more about the history of The Royal Mint, and you will be able to see all the special coins and rare historical memorabilia that the exhibition holds. You will even have the chance to strike your very own coin! 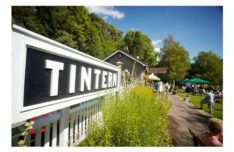 Built as a Victorian country railway station, the Old Station, Tintern is a charming site to visit for a quiet relaxing day out or to start your walk through the beautiful Wye Valley. 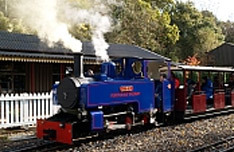 The site features a pleasing riverside walk and meadows to explore, a children’s adventure play area with equipment suitable for 2 to 12s, a wide picnic site with barbecues for hire or tearoom if you prefer.The signal box houses changing exhibitions from local artists and crafts people so there’s plenty to look at. The Circle of Legends wood carvings which are hidden around feature local mythical or historic characters, forming a series of trails throughout Monmouthshire with delightful surprises where one least expects them. Tredegar House is one of the architectural wonders of Wales and one of the most significant late 17th-century houses in the whole of the British Isles. For more than 500 years the house was home to one of the greatest Welsh families, the Morgans, later Lords Tredegar. In the picturesque and historic riverside town of Usk is a museum run by dedicated volunteers with “one of the best collections of its kind in Britain”. Housed in an ancient malt barn with adjacent buildings, the Museum has 5000+ exhibits collected by local enthusiasts over the past 50 years in order to preserve the heritage of the life and work of country people in the Welsh Borders from Victorian times and onwards. 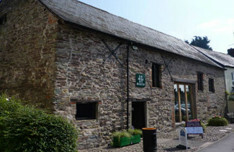 The museum houses a unique collection artefacts from the smallest handtools and household items through to large agricutural machinery and vintage tractors. White Castle is one of the most well preserved castles in Monmouthshire, with wonderful views over the surrounding countryside. 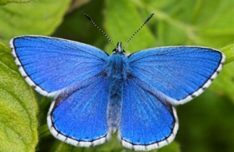 Wye Valley Butterfly Zoo are passionate about butterfly conservation, supporting sustainable butterfly farming worldwide. At the zoo you can walk with butterflies from around the world. It is indoors, it’s tropical and it’s teeming with exotic butterflies which fly around as you discover their fascinating lives in close-up. See for yourself every stage of their life-cycle: egg, caterpillar, chrysalis of some of the world’s most beautiful butterflies. The Wire is one of the UK’s longest, tallest and fastest zip slides, running the 700 metre length of the spectacular NDAC Quarry in Chepstow.